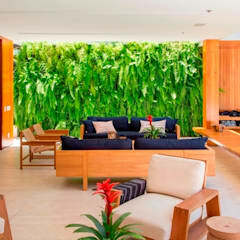 How to design a tropical garden in Canada? 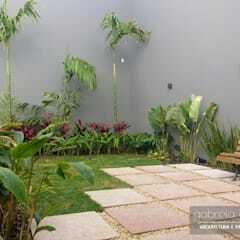 The wild and exotic nature of the tropical garden induces many homeowners to design one in their own backyards. 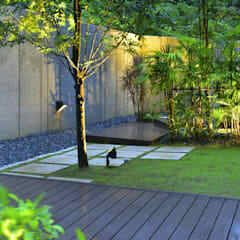 It helps them design a space to sit down and soak in the tranquillity of the surroundings. This is a rare privilege for everyone considering the hustle and bustle of everyday life. 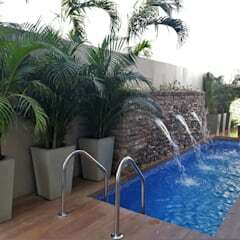 Now you too can plan a tropical garden in your backyard and enjoy all the pleasures of being close to one. It needs careful planning, but a minimum amount of hassle. Choose a part of the backyard that receives a generous amount of sunshine. 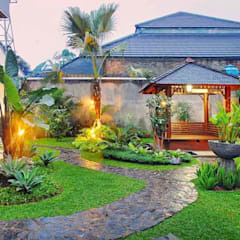 Tropical garden plants need ample amount of sunshine and moisture to grow well. Plan the drainage system well. 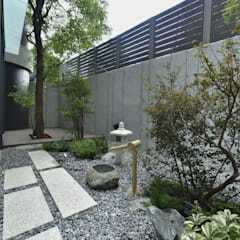 Create a gentle slope towards the periphery of the garden. Water logged areas are not conducive for growing tropical plants except for those which grow in the marshy region. Make a basic sketch of your plan. Try different arrangements. 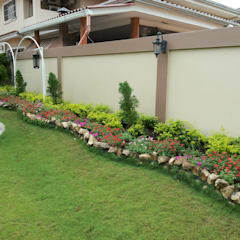 Consider discussing your options with an experienced landscape designer. Select a spot where you would like to build an outdoor living area. You may choose a shaded spot or build a canopy over this space later on. If you plan to combine the living area with an outdoor dining space, then it would be better to design it closer to the house. This will save your repeated trips to and from the house to fetch drinks, food, crockery and cutlery during the parties with friends. 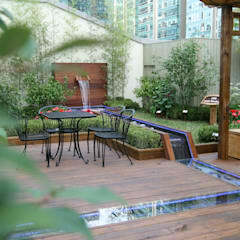 Design a small water body in one part of the garden. 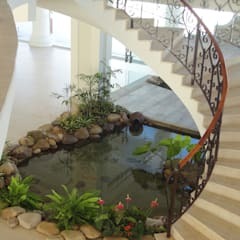 You may build a swimming pond and enjoy having the pleasures of a traditional pond with a fully functional swimming pool. 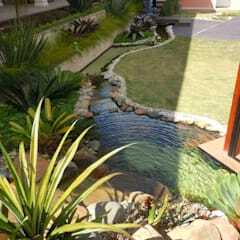 You may also design a small lotus or koi pond in your garden. 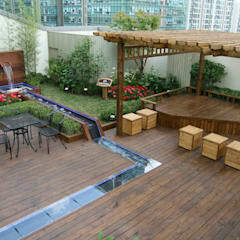 Build a wooden deck around the water body. 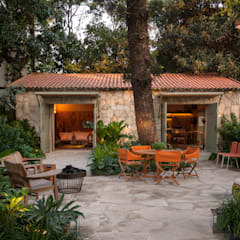 You may design a small patio using rustic travertine stone or terracotta tiles. 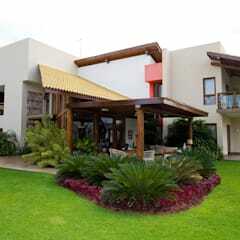 Strategically place the potted plants around the water body and also close to the outdoor living area. Mix mulch with the garden soil. Mulch is rich with nutrients. 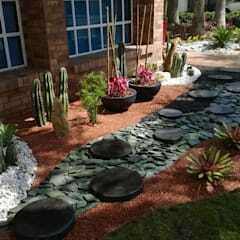 Besides, a mulch rich soil will retain water for a greater length of time. Plant the larger trees along the borders of the garden and the smaller ones in the middle. You should also plant small shrubs and flowering plants close to the house and patio to enhance the beauty of the façade. Keep the saplings and tender plants under cover during the winter months till they are strong enough to withstand the extremes of weather conditions. 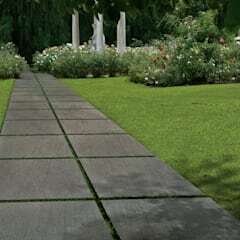 Design a winding garden path with stone or brick. 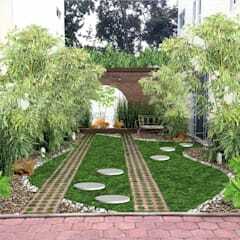 You should make arrangements for proper irrigation. For greater efficiency, consider seeking the help of a professional plumber. 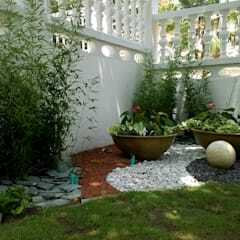 What plants to choose for a tropical garden in Canada? While choosing plants for your tropical garden, opt for those that thrive in cold climate. Buy hardy plants that don’t demand too much maintenance. Choose plants with varied colours and shapes of foliage. 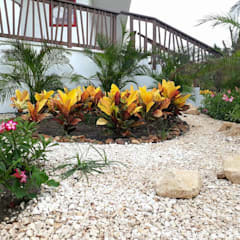 They have a dramatic effect on the composition of your tropical garden. Use planters made of bamboo, wood or terracotta for those plants you intend to keep in pots. Can you imagine a tropical garden without banana plants? May be, not! Choose banana species like Musa basjoo, Musa textilis, Musa velutina, Musella lasiocarpa and Ensete maurelii. They are hardy and perfect for cold climate. Not all of them would produce edible fruits though. Colocasia is another plant native to the tropics. Strelitzia reginae and Strelitzia nicolai are two different varieties of birds of paradise that could become proud possessions of your tropical garden. You have the luxury of choosing from a variety of palm trees. Decorate the border of your garden with palm trees like these. Plant them along the driveways and garden path and design a warm and welcoming home. Windmill palm tree grows very well in Canada. 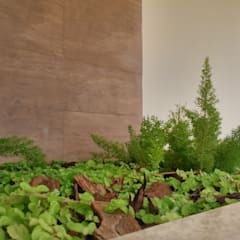 You may plant them on ground and grow them in pots as well. Decorate the porch and deck of your garden with the potted windmill palms. 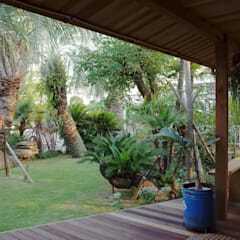 Feather palm trees or Butia capitata grow very well in temperate climate. 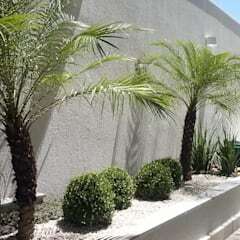 Don’t forget to add Chamaerops humilis, Cycas revolute and Sabal to your list of palm trees. They will embellish your tropical garden with their beautiful leaves. Choose a well-drained spot in your garden to plant these trees. Palms will get killed if planted in soggy ground. Flowering trees like Graptophyllum excelsum, Hibiscus, Passiflora and Callistemon will add colour to your tropical garden. Bamboo plants like Phyllostachys stimulosa, Phyllostachys decora, Phyllostachys bissetii, Fargesia and Shibataea kumasaca thrive even in sub-zero temperature. Plants like these relieve you from your worries of maintaining a tropical garden in the winter. 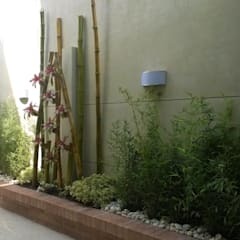 Since bamboos grow rapidly, you should place them slightly away from the front façade of your building. This will not obstruct the views of the façade. Plant them on either side of the garden path. In time, this will become a shaded and very peaceful part in your garden. 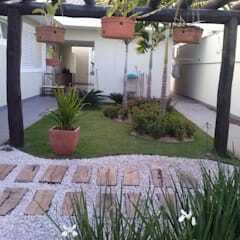 What architectural features are needed in my tropical garden? 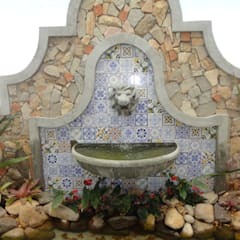 An arbour built in tropical style is one of the must have architectural features of your garden. 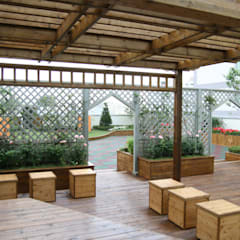 Use wood or bamboo or a combination of the two to build the arbour. You may opt for thatched roofing for an authentic tropical charm. 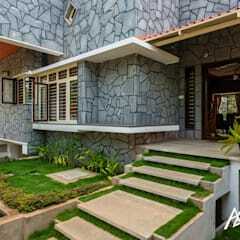 Build stone, terracotta of brick flooring in this space. 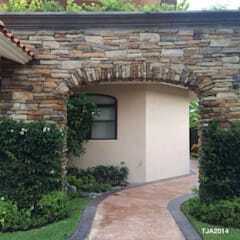 Stone, brick and terracotta tiles successfully retain heat which is healthy for your tropical garden. 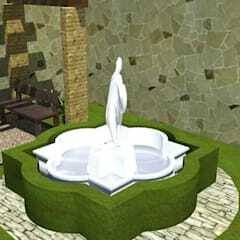 You may like to place a beautiful garden statue close to your garden pond. 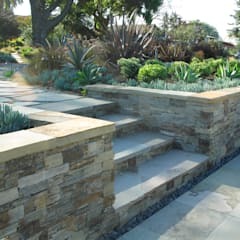 Build stone stairways made of granite, travertine or sandstone to access the porch, wooden deck and the upper levels of your garden.